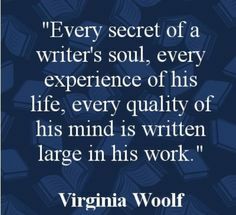 I’m hard at work on novel revisions this week (spent 4-5 hours on it yesterday and feel like it’s picking up momentum again) so I’m not going to spend much time on a blog post today. 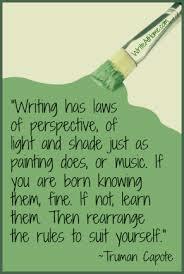 Instead I’ll share a few of my favorite quotes by writers on writing. These are taken from an article in the Writer’s Digest’s blog, “There Are No Rules,”(click the link to read all 72 quotes) and the post is by Zachary Petit. Thanks for doing the heavy lifting, Zac. Enjoy!